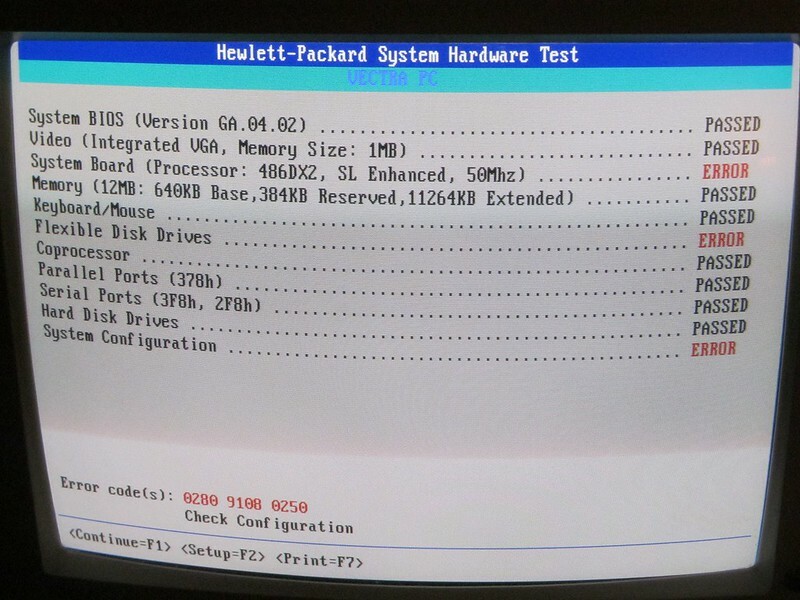 I recently acquired an old HP Vectra VL2 4/66 PC. 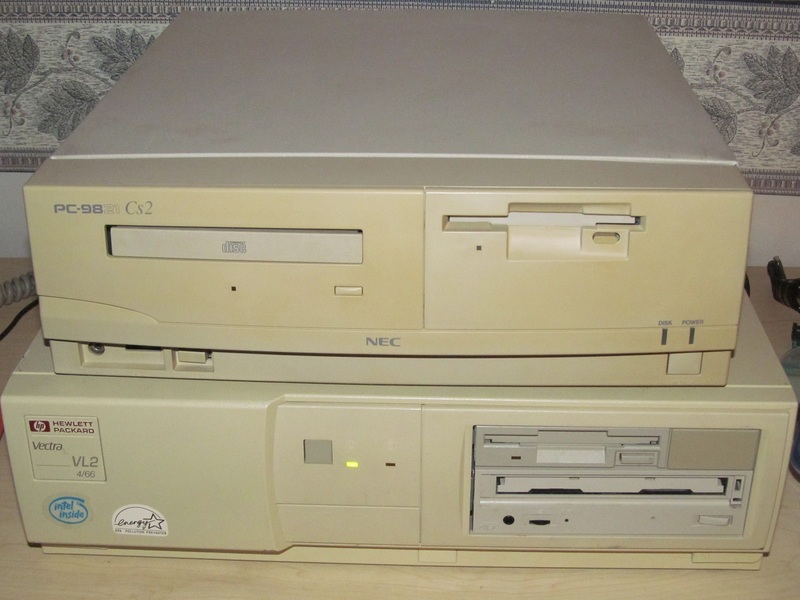 It's a 486DX/50 with 12mb of RAM, a 1.2GB IDE HDD, an SB16 CT1790 sound card, and more. It works perfectly fine except for the CMOS battery being dead and one other far more annoying issue. Fairly often, when the hard drive is accessing files, the drive will get "stuck." I guess that's the best way to explain it. The activity light is on solid, but you can't hear the drive chattering like usual and nothing is being read. It then takes a considerable amount of time for it to retry. This makes it very annoying to play games that access files on the HDD a lot and makes some like Stunt Driver pretty much impossible to play because I can't get past the title screen without the drive getting stuck and crashing the program due to the read error. It does actually seem certain things trigger it more than others, like starting up QuickTime in Windows 3.1 for example. I do notice that in the BIOS, even though it auto detects the HDD, I actually have to set it to custom for it to boot. Not sure if that's related to the issue or not. And also, I don't think I noticed this problem when hooking up the drive through USB on my main computer. I would try another drive, but I don't have one of a compatible size that's not being used. Any ideas? Thanks. Maybe dx50 is your problem. 50 Mhz fsb is problematic. danijelm wrote: Maybe dx50 is your problem. 50 Mhz fsb is problematic. Isn't the DX-50 2x 25 MHz? So, yeah, minor mistake earlier in that it's apparently a DX2 50. All of these errors (including the processor one) go away when I fix the HDD settings. And like I said earlier, I don't know if it's actually the HDD itself because it worked fine with no hiccups when transferring files to it via USB. I do wonder why it has a DX2 50 instead of a DX2 66, though... Kind of odd. Oh, I also did a surface scan with Scandisk and it found no issues. It just took a long time because of all the pauses. Does the BIOS save any settings? Because normally it should save hard disk settings too. So perhaps the BIOS battery is dead? yawetaG wrote: Does the BIOS save any settings? Because normally it should save hard disk settings too. So perhaps the BIOS battery is dead? Yeah, it is dead. I mentioned this earlier. Thankfully, it's a CR2032 battery in a holder. I will do that ASAP and then let you all know if it helped, then. What's weird is that the computer's name suggest a DX2-66, not a DX2-50. Is it underclocked ? What's written on the CPU ? Also, what's the brand of the HDD ? Deksor wrote: What's weird is that the computer's name suggest a DX2-66, not a DX2-50. Is it underclocked ? What's written on the CPU ? Yeah, I don't get it either. I haven't taken off the CPU heatsink yet. Also, fyi, this doesn't seem to affect CD-ROM access at all. The CD-ROM drive is hooked up to the same IDE socket as the HDD. You might've already checked this out but is the master/slave order on the hard drive and the CD-ROM correct? Considering that the drive works better via a USB adaptor, it might be something to do with the way the drives are configured that the HP motherboard isn't liking. I have a Vectra like this, but probably the bios is dead. Could you backup the bios and send it to me? Is that possible? Pleeeeaaaassseeeee!! I have not found any bios file to this type of vectra. This one is not good. I need ga.04 bios like yours. 486/33 vl is ami bios. My vectra is a Vl2 4 25e with Pheonix bios. Pleeeeaaaaasssse bios Ga 04.02 pleeeeeaaaassssseee! Pleasepleasepleaseplease i need bios file Ga.04.02 please you are my last hope!